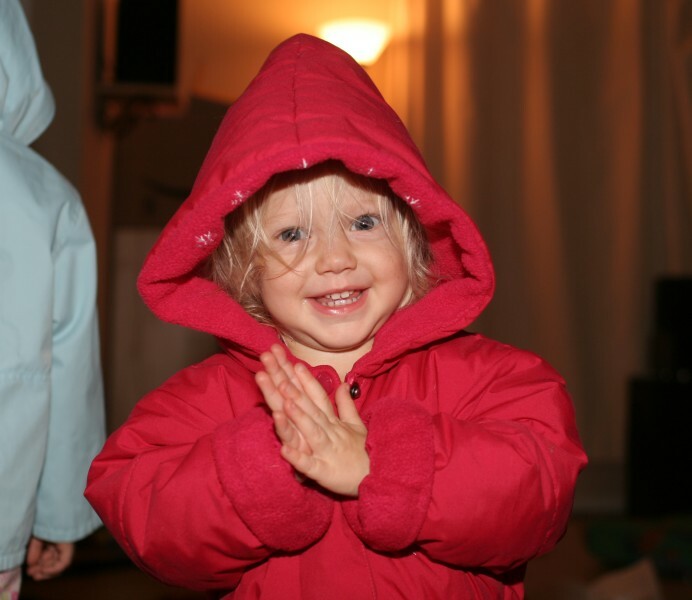 A rare moment catches Mia actually wearing clothes. 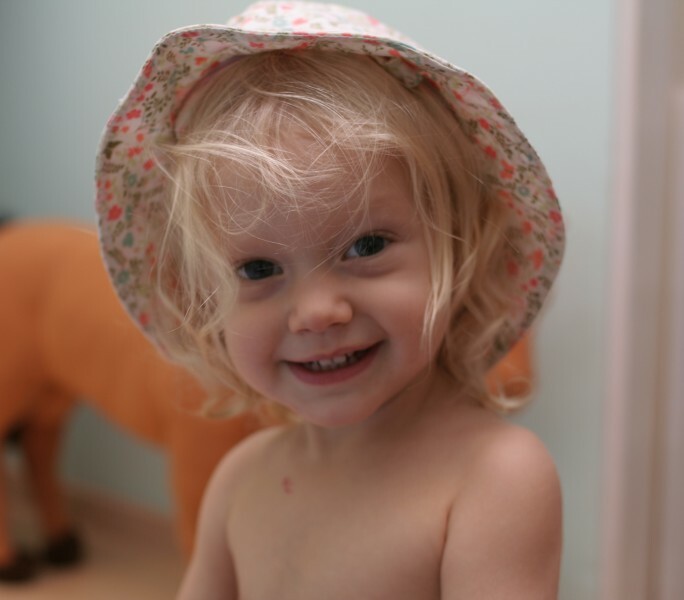 Mostly, Mia's been shunning clothes, but she's taken to wearing hats sometimes. She looks good in hats. We picked up a couple of rabbits in December, Jack on the left and Snoopy on the right. They're actually potty trained so it's been enjoyable having them around. 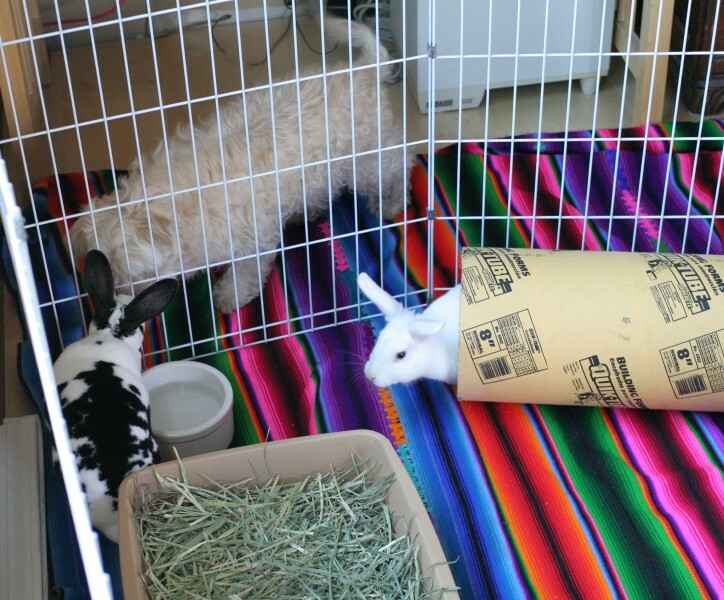 We went through a rabbit rescue to get them. 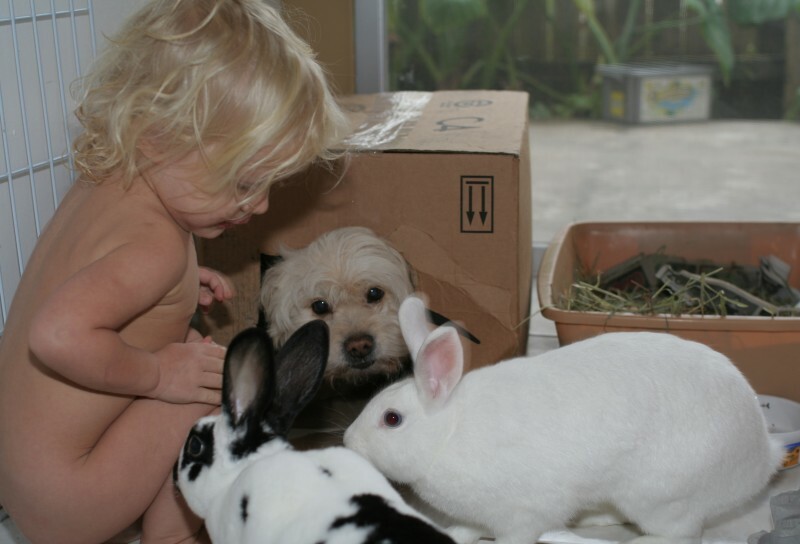 I'm not sure why Whitey is in the rabbit's box, but all the pets we have seem to get along. The cat doesn't take any interest in the rabbits, which is nice. 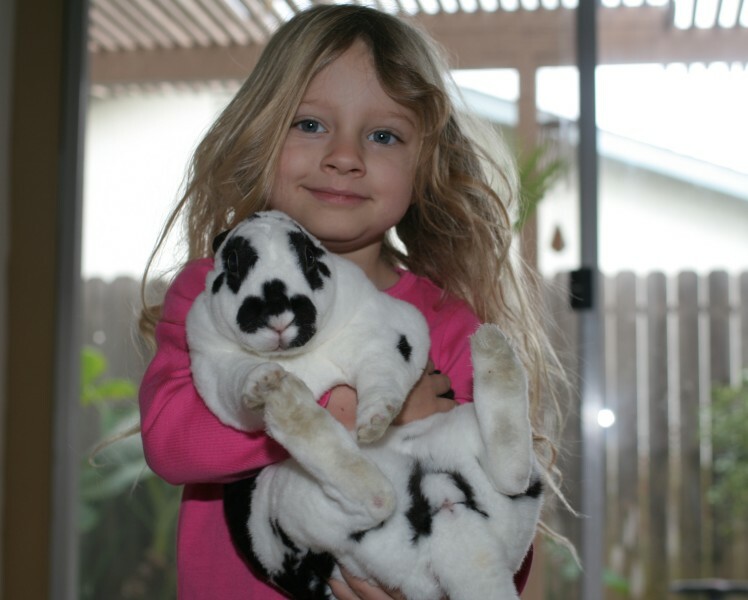 Amelie is crazy about holding the rabbits. They don't seem to mind, which is good. 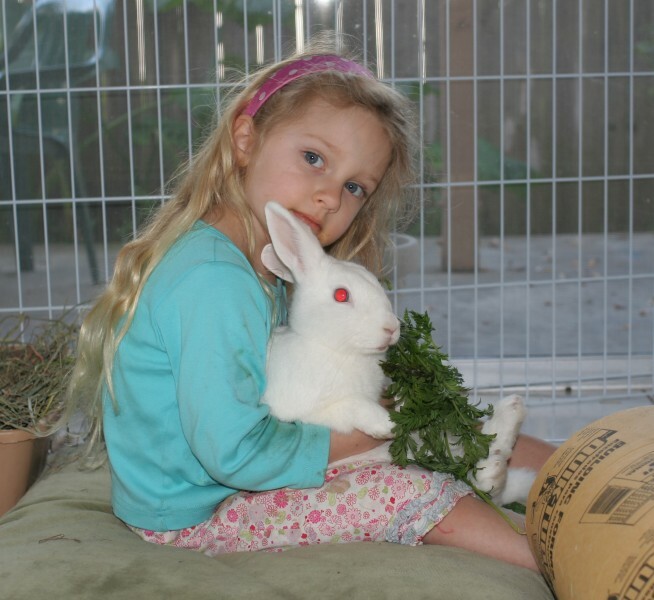 We get carrot tops from the farmers at the market for free, and the rabbits go crazy when you give it to them. They love the stuff. 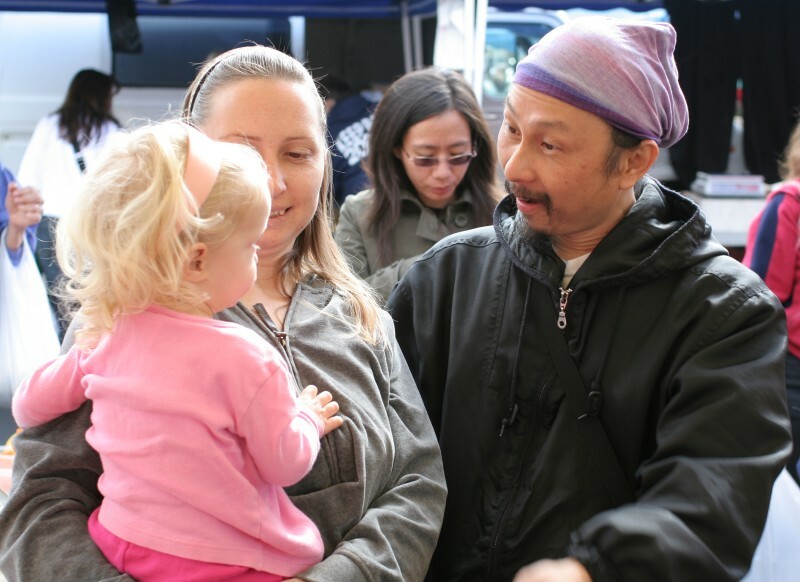 We ran into Chef Ito from Au Lac at the farmer's market on Saturday. We went by Au Lac later for some raw BBQ chicken pizza, which was amazingly good for being vegan raw. 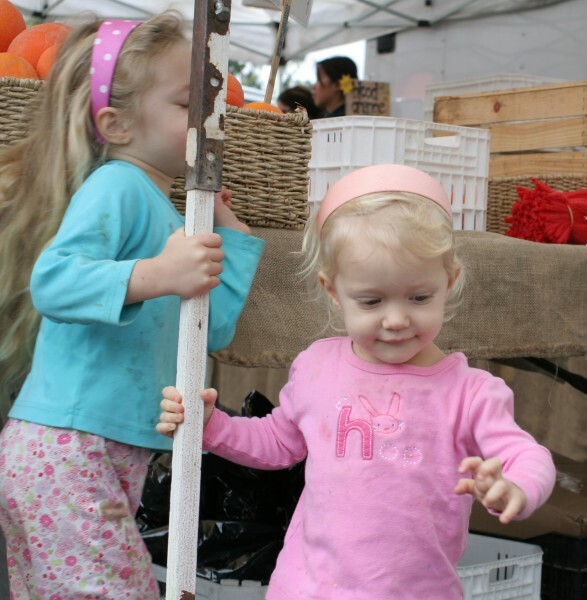 A favorite thing to do at the market is run around the tent poles until you fall down. 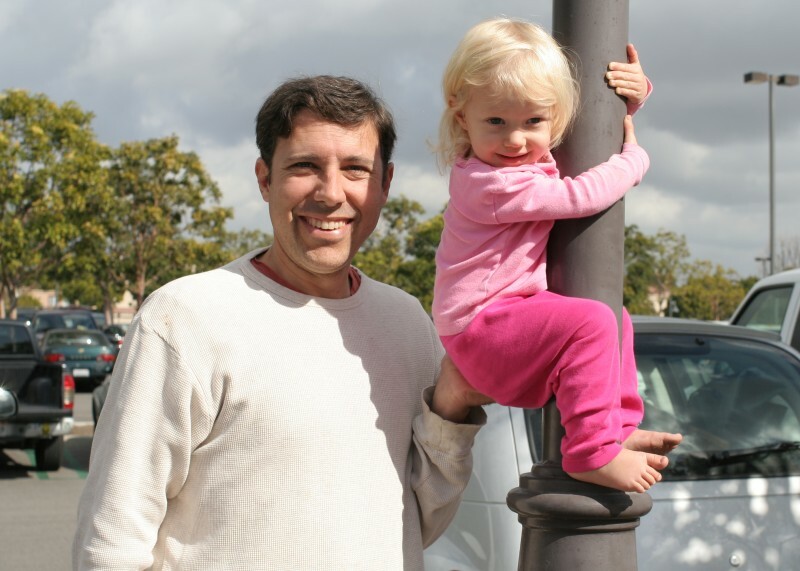 Climbing is another favorite thing to do at the market. 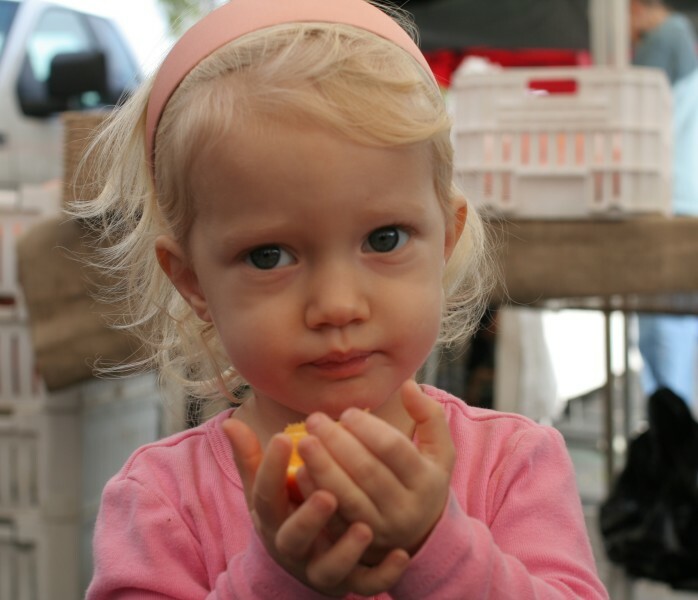 Mia loves to reach up and grab a free sample. 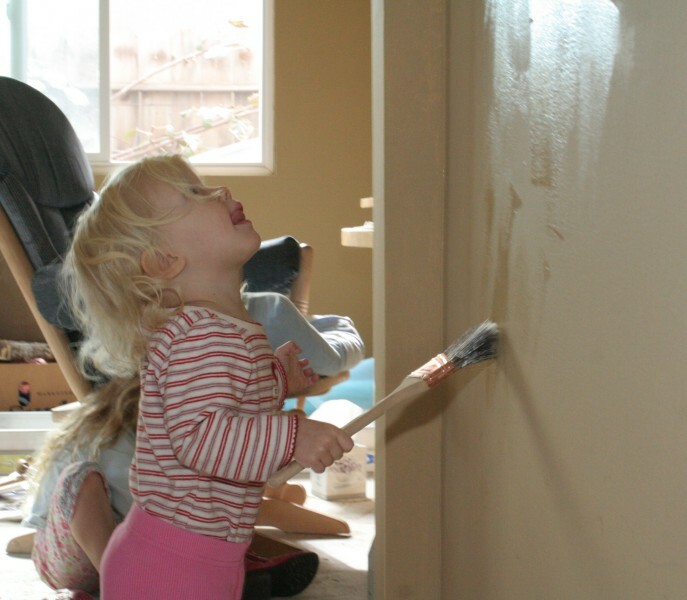 We replaced the floors and painted our den last month, and it always helps to involve the kids, even if you end up with foot prints of paint all over the place. Mia started peeing and pooping in the toilet, so we baked some gluten-free cupcakes and had a potty party for her. It's nice to have them both potty trained. 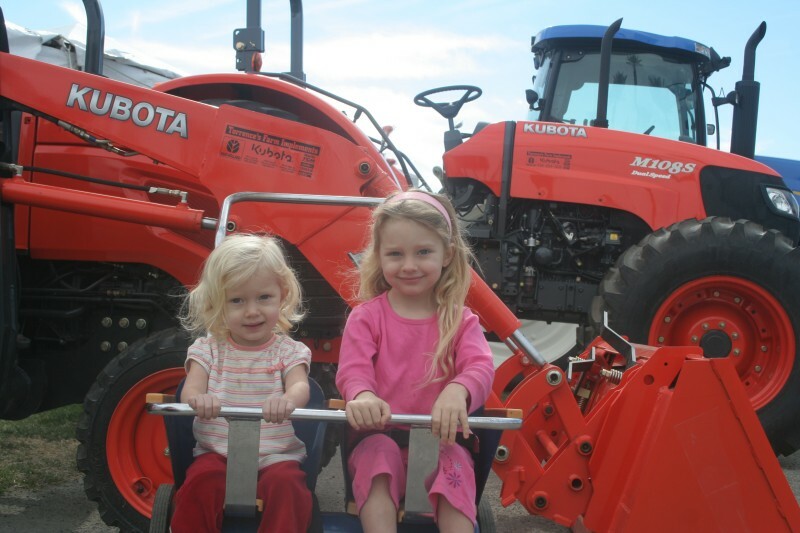 Naomi took Amelie and Mia out to the Date Festival in Indio, where they had a lot of fun. Until next month, have fun!